Looking for a fun and entertaining way to engage your students in Science, Social Studies, Language Arts/ English, or Math? Check out this newly authorized title (for both BC and Alberta) intended for Grade 4–9 students. Join “Beaver” and his buds as they adventure from A to Z with Canadian inventions and discoveries. From A is for Acetylene to Z is for Zipper (or B is for Blackberry to Y is for Yukon Gold Potato), Canadians are totally inventive. I recommend that you buy three copies. One is for the library. The other two are to cut up, mount, and laminate to create 26 posters for students to work with (individually or in pairs). links to other sites connected to Canadian science. Cost: $26 includes shipping for BC. Order from me, as above. For Alberta, check out the Learning Resources Centre website here and place your order on line—this is much cheaper, because Alberta picks up the shipping costs. 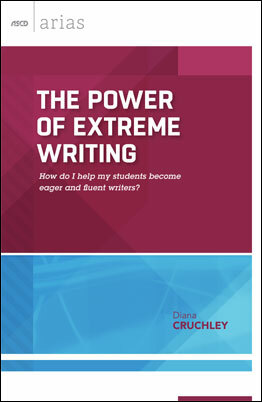 If your students are not excited about writing, write slowly and reluctantly, this is a book for you. The traditional five-step writing process never explicitly teaches students to be fluent in their writing—to be able to write quickly on any topic. Extreme Writing targets precisely that with focused, daily writing sessions that provide students with consistent, long-term engagement. It is designed to appeal to students in grades 4–8, and—best of all—the approach involves little extra work for you. I outline the process but also describe what it looks like in the classroom, explain how to assess student work, and highlights more than a dozen unique inspirations that motivate students to write. Extreme Writing: it’s fun, it’s fast, and it works. Purchase here. If you are sick, your partner is sick, or there has been a death—you need this binder to make sure things run smoothly. The binder is a handy reference for you, your property, travel, medications, finances, will, power of attorney, and lots more. And the best part, it’s not hard to do! You will be able to simply fill the plastic sleeves with documents and make any needed notes. 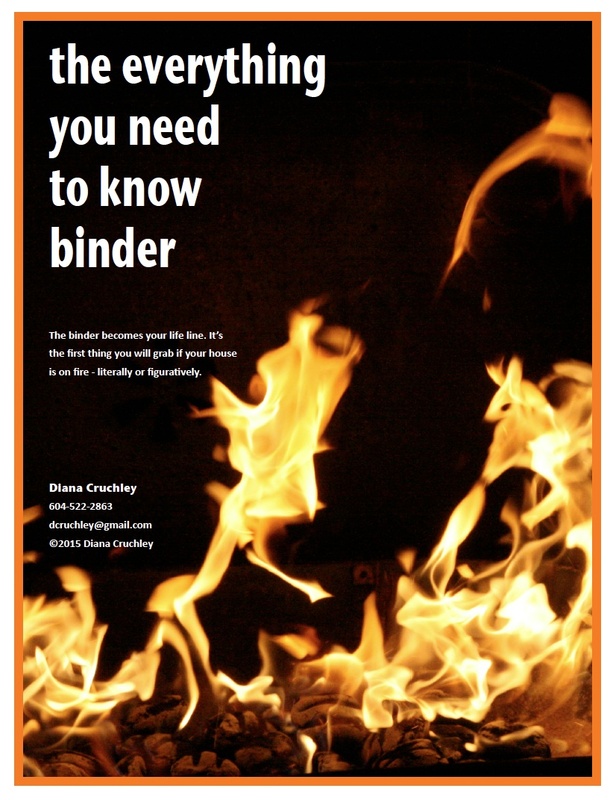 If your life goes ON FIRE, your binder is invaluable. Store it somewhere in your house, to grab when you need it as a reference. You’ve been meaning to get organized. Now is the time! Cost: $30 (if you pick it up from me). Contact me for purchase.